A common bat can eat thousands of insects in a single night, making them the perfect substitute for nasty pesticides. By eating everything from beetles to mosquitoes, bats help keep your garden and your family safe. Bats are under threat all over the world, and they need our help. 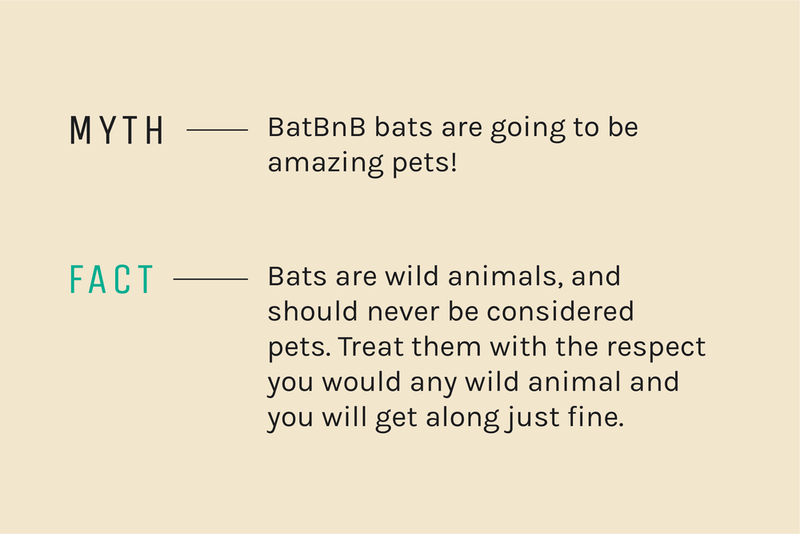 BatBnB offers a perfect home for them to raise their pups and stay safe from predators. The idea that bats are vicious monsters thirsting for your blood is a myth. In reality, bats avoid people. They sleep during the day and hunt pests at night. Treat them with respect, and they’ll be your best neighbors. Each unit can be placed on a wall, shed, barn or pole in your yard. When local bats emerge from hibernation, they'll find your BatBnB and gladly call it home. interior spaces that mimic their natural habitat and captured heat from direct sunlight make the house appealing to bats. Bats enter from the bottom of the Batbnb. The landing pad and interior surfaces have grooves that allow bats to easily grip, climb, and hang. At night the bats are ready to go out and catch dinner. They use the space under the unit to drop out of the house and gain momentum for flight. We are working in close concert with Merlin Tuttle of Merlin Tuttle's Bat Conservation to help design a bat house that is perfectly suitable for the animal's needs so that the bats can comfortably raise their pups in a safe environment. Merlin Tuttle's organization is leading the field in cutting edge research and bat related advocacy efforts and we are honored to have him advising our team. We encourage the entire BatBnB community to visit www.merlintuttle.org to immerse themselves in research and consider making a donation to their organization. $50,000 in pre-orders in the first three days! 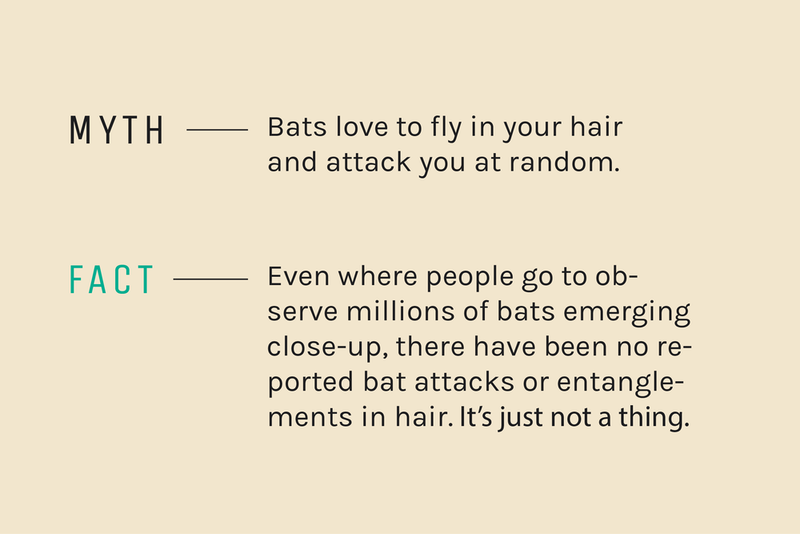 GET Your Bat facts straight. We work with commercial properties like parks, golf courses, city centers, and farms. BatBnB is a perfect solution to deploy at scale to help reduce mosquitoes, add stylish decor, and keep guests happy. Contact us for commercial discounts, or subscribe to get early access to special commercial perks. BatBnB was founded in Lexington, KY.
We are on a mission to support bat populations around the world and to offer the greatest natural pest solution on the market. Join us! Follow us for Discounts, bat facts & woodshop fun.